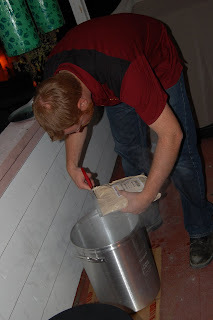 Welcome to the first post on the Chism (Home) Brewing blog! 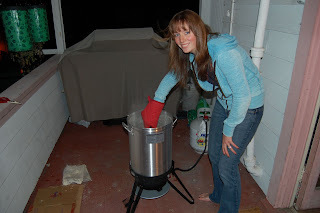 I (Curtis) live in South Park (San Diego, CA) and have just begun home brewing and I have a great assistant - My wife (Liz). 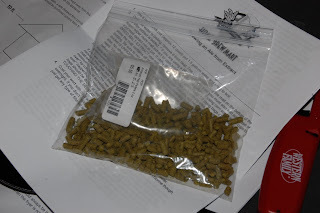 Please join me in my home brewing journey! The first batch was a "West Coast Pale Ale" dry malt extract brew. The basic ingredients came from Ballast Point Home Brew Mart. I decided to keep it simple for my first brew before moving on to more advanced brewing techniques. 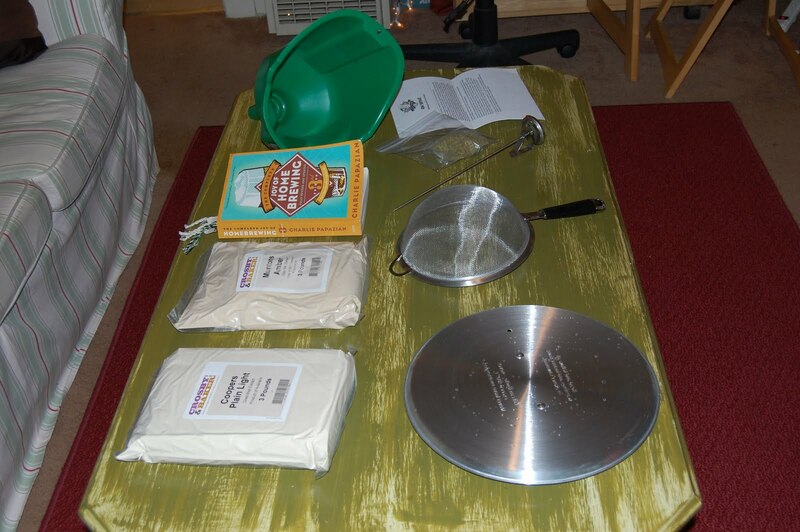 Fortunately I've been getting a lot of good advice from various online sources, Charles Papazian's "The Complete Joy of Home Brewing" and a friend and local nano-brewer - Mike Hess (Hess Brewing), that has really helped me get a jump start on home brewing. 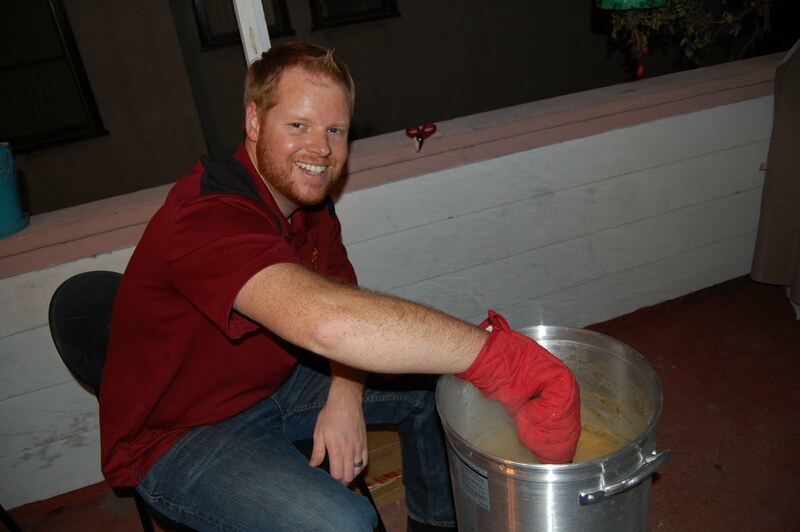 You should definitely check out Hess' tasting room and try some of his incredible beers! 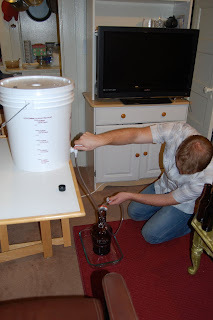 I started out with some basic equipment that my wife got me for Christmas, which included a glass carboy, plastic bottling bucket (or secondary fermentor), and associated simple equipment to get me started. 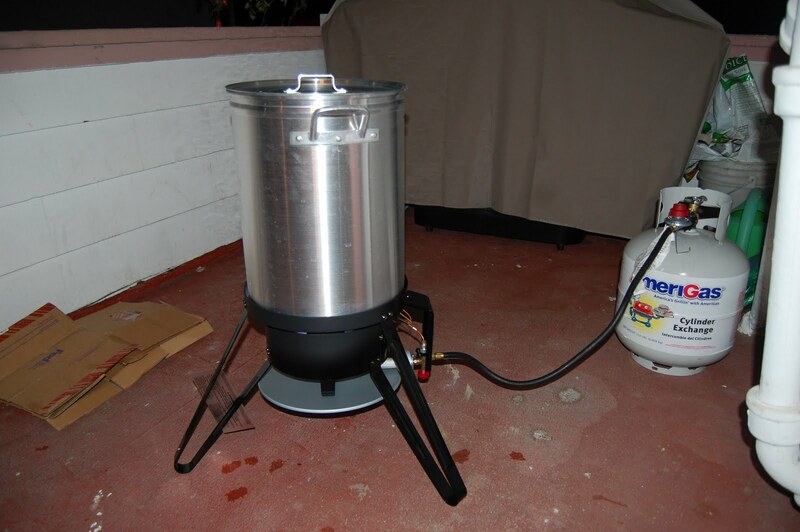 I found a $60 turkey fryer at Home Depot that included a 7 1/2 gallon aluminum pot. 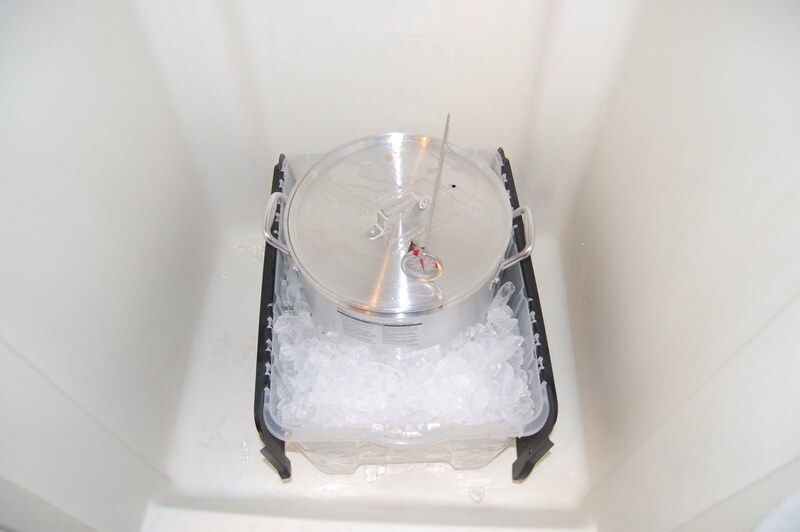 I've been advised that the aluminum makes no difference in the taste and it's been proven there is no connection to alzheimers. 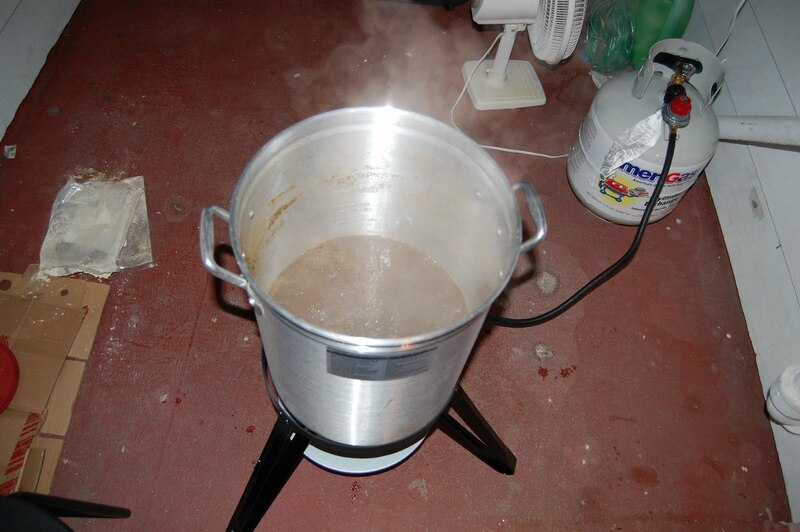 Initial Brewing Procedure: Boiled 2 gallons of wort and 1.5 oz hops for 60 minutes; added .5 oz hops for last 1 min 15 sec of boil. I had trouble at first keeping the head down because I had the heat turned up too high; once I got the regulator figured out, I could control the heat and keep the wort at a lower boil. I noticed that about 1 gallon boiled off. 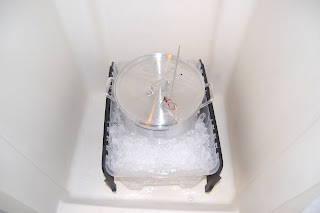 Cooled in ice bath to 70 degrees (took about 15-20 minutes to cool); added 3 1/2 gallons of water (64 degrees) to glass carboy, then strained wort into carboy. 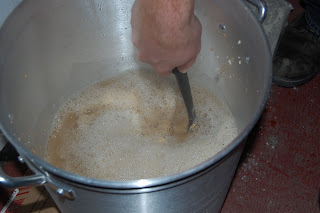 I didn't make a mark at 5 gallons prior to pouring all the liquids in so I had to guess at the amount of total water. I chose to reduce the batch to approx. 4.5 gallons to boost the OG, and hopefully the alcohol content. 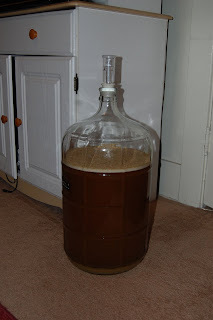 (Day 1) - No fermentation observed after about 9 hours, but I did notice one air bubble in the air lock. 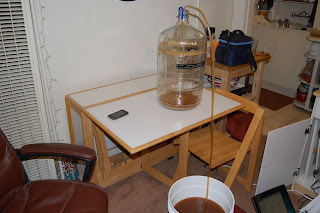 I moved the carboy to a warmer room to try to get the wort temp up to activate the yeast. 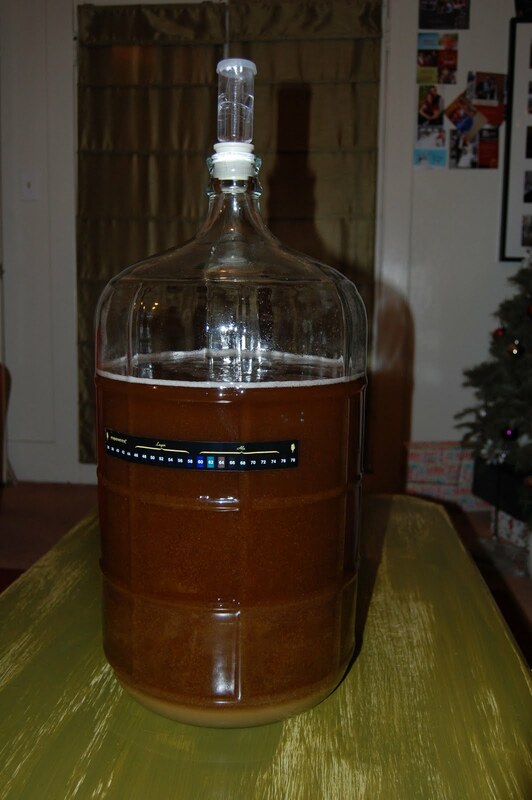 The yeast appears to be sitting on the bottom of the carboy at this point. 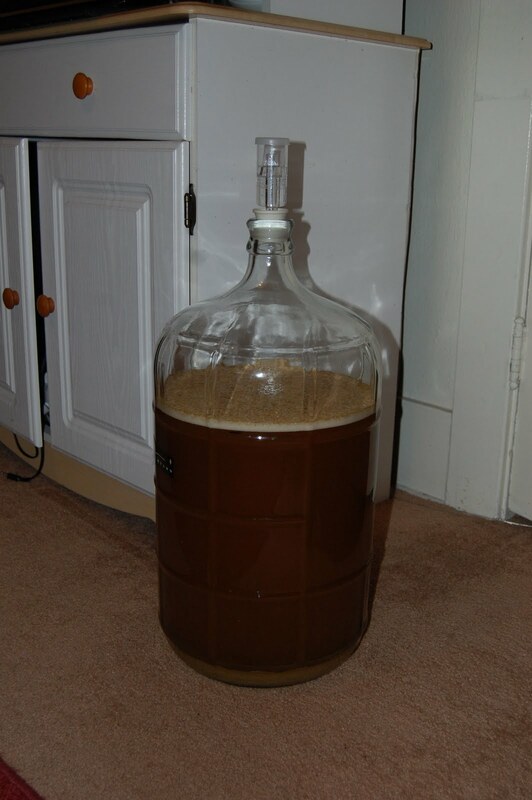 (Day 6) - Noticed that visible fermentation ceased and krausen began to subside and settle into wort. 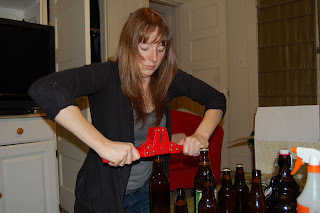 Bottling Procedures: Prior to bottling, I had to clean and remove labels from all the beer bottles I collected. This involved several days of soaking bottles overnight in a bleach solution and scrubbing the inside and outside of the bottles to get all the bacteria out of the inside and the labels off the outside. This was a labor intensive process; I'll look into a bottle cleaning attachment for my sink soon. 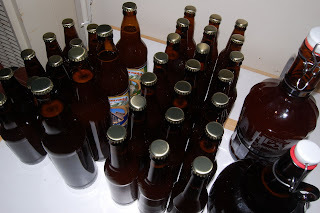 Then prior to bottling, I sanitized the bottles again with Star-San (the bottles sat for a couple days after soaking in bleach). The bottling process itself took about an hour and was actually very fun and a rewarding cap to the whole brewing process! 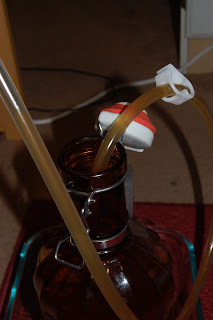 I siphoned the beer from the glass carboy into a plastic bottling bucket, added 3/4 cup priming sugar. Then I just put the tubing in a growler, and opened the valve and the beer started flowing. I used the clip on the end of the tubing to control the flow of the beer into the growlers and bottles. 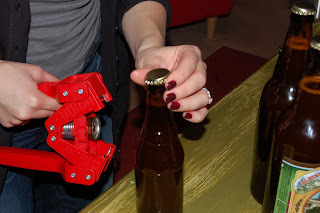 My wife and I took turns filling bottles and capping bottles. The clean up took about another hour and we finished the night by drinking a couple of Big Sky stouts at Hamilton's (just 3 blocks away from where I live)! 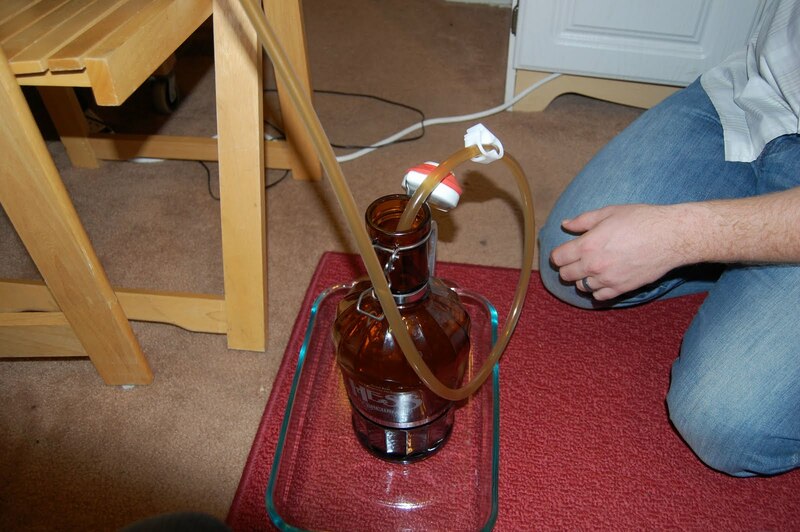 Wort strained into glass carboy (fermentor) and air locked.